The Mercedes-Benz experience has always been one of exquisite luxury, performance and style. Now the expression of that style is made even more elegant and unique with the exclusive Mercedes-Benz designo® series of paint, leather and interior trim options. This extraordinary set of custom choices will give your Mercedes-Benz a look and style that is as completely individual as you are. There is no higher expression of quality and craftsmanship than the exclusive colors and materials offered in the designo® collection. The extraordinary refinement and quality of designo® paint colors, leather surfaces and interior trim details are a testament to Mercedes-Benz craftsmanship and style. The materials are unequaled in their exquisite detail, from the carefully chosen and individually matched rare woods to the diverse palette of exclusive paint colors. Whichever combination you choose for your custom design, you can be assured of nothing less than perfection. Handcrafted is a term that is frequently used, but seldom is it more applicable than in the case of the Mercedes-Benz designo® collection. Each and every element of this impeccable set of trim choices is the result of hand-selected and artisan crafted materials. The advanced nano-technology paint choices are expertly applied by hand in a painstaking multi-step process. Only the most skilled painters are selected for this, based upon their exceptional abilities. The designo® Magno paints feature an exclusive technology that helps to resist environmental damage and scratches. The Nappa leather upholstery is selected and matched by hand so that the resulting surfaces are supple and free of imperfections. They are selected for uniformity, and then cut, sewn and fitted by hand. This extraordinary hand craftsmanship leads to one of the most durable, beautiful and comfortable interior selections ever produced. The wood, lacquer and even granite trim pieces in the designo® series are also hand-selected and matched for the most esthetically pleasing grain and texture. The piano black lacquer trim is polished to an incredible gloss, while natural curly maple and rich-grained bamboo are hand-rubbed to a perfect sheen. Which of the Mercedes-Benz Vehicles Offer The designo® Option? Currently Mercedes-Benz offers the designo® series of options on E-Class sedans and wagons, S-Class, SLK-Class and SL-Class roadsters, as well as AMG® vehicles such as the incredible CLS 63 AMG® S 4MATIC®. All of these exceptional vehicles are among the most exclusive and highest quality luxury vehicles in the world, and now the styling and design that you select can match their incredible performance and handling. There is no more impeccably-designed vehicle than Mercedes-Benz series of luxurious sport sedans, coupes and roadsters. Whether you choose the classy S-Class, dynamic E-Class, the sporty SLK-Class, the exquisite SL-Class or any of the ultra-high end AMG® vehicles, the customized designo® finish will make your choice uniquely yours. 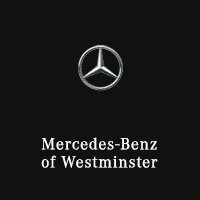 For an appointment to select from the most luxurious trim finishes that money can buy, call or come by Mercedes-Benz of Westminster. We’ll show you just how exceptional the designo® series of paints, trim finishes and luxurious leather upholstery can be. But be warned; these distinctive and exclusive finishes can be as intoxicating as they are beautiful. Or for additional information, visit MBUSA.com.